This, as is every April, is Parkinson’s Disease Awareness Month—it is a time to learn about an illness that touches millions of lives across the globe. 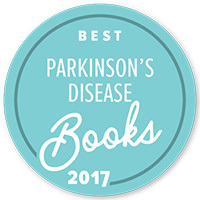 Help spread the word to anyone you know who may have a need for assistance in getting more of an education on the complexities of Parkinson’s disease. This #ParkinsonsAwarenessMonth there are so many events going on online and locally. 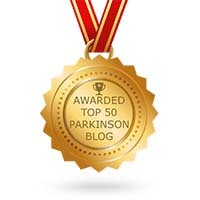 Here are a few of the many Parkinson’s disease related events that I want to point out –there are far too many to mention (check your local community for special events close to you), along with some online resources that I encourage you to visit. Come out and meet others in the Parkinson’s community along with getting information about Parkinson’s resources in the area. A portion of the proceeds will go to Parkinson’s non-profit charities. The Parkinson Social Network launches their Cafe in Alexandria, Virginia! 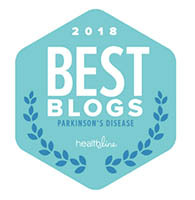 Visit https://parkinsonsocialnetwork.org/ for more details and directions. 24th annual gathering in Central Park to bring awareness to Parkinson’s Disease. The following are articles that were written for 2 websites that I hope that if you don’t know about that you might now take some time to visit. They are good sources for those dealing with Parkinson’s disease! Education, knowledge, and awareness is so important. This is my first real attempt at an inspirational film. I hope you enjoy it and share it. I hope that you find this thought-provoking and calming! These are some of my many original photos mixed in with some thoughts. You may have to watch more than once to read everything. Thanks! For me, the holiday resonates with special memories of the whole family watching parades, football, and eating my late mother’s exceptional cooking. Those memories are treasures that line the walls of my Thanksgiving box for the rest of eternity. Those days are long past, but I am still fortunate to make special new memories with dear friends who mean so much to me. Times change, life moves quickly forward, and I am forced to accept change. I think a keystone of this holiday is about one thing only, gratitude. In the hustle and bustle of shopping, cooking, pre-Christmas preparation, and Black Friday sales, the meaning of Thanksgiving gets blurred. This year, I have lost more dear friends, neighbors, and close Parkinson’s disease colleagues than I can count on my fingers. Loss of loved ones, both friends and family are so bittersweet as I rejoice in having been part of their lives, yet mourn that those days have ended. As the year quickly ends, I am ever so grateful for my wife and best friend, Angela, my wacky and hilarious chocolate lab, Lily, my relatives all across the United States, my dear Reiki and Parkinson’s families, and you the reader/subscriber who takes time out of your busy day to read my latest blog post. I am grateful! Tags: a soft voice in a noisy world, Black Friday, blog, book, cooking, cure, Disease, doctor, doctors, football, friends, Happy Thanksgiving!, Health, illness, Karl Robb, loved ones, medicine, news, parades, Parkinson's Disease, positive thinking, reiki, stress, support, Thanksgiving, wellness, What does Thanksgiving mean to you?